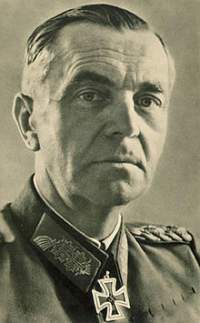 1884 Birth: Franz Halder: Colonel-General and Chief of the General Staff of the German army (OKH) from September 1, 1938 until fired by Hitler on September 24, 1942. 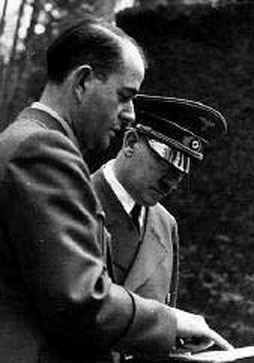 In 1946 Halder gave evidence against leading members of the Nazi Party at the Nuremberg War Crimes Trial. His critics have pointed out that Halder's objections to Hitler were based on military differences rather than a rejection of Nazi philosophy. For example, he became involved in the July Plot because he believed that Hitler no longer had the ability to win the war. 1892 Birth: Oswald Pohl:, born in Duisburg, Pohl will join the Nazi party in 1923. From 1942 to 1945, he will serve as chief of the Central Office for Economy and Administration. At his disposal will be a work force of more than 500,000 concentration camp prisoners, some of whom will also be 'leased out' to industry. He will also ensure that personal and bodily effects of the gassed Jews will be reutilized by the German economy. Sentenced to death by the International Military Tribunal at Nuremberg in 1947 and executed. 1893 Birth: Walter Ulbricht: German politician. Following the German invasion of the Soviet Union in 1941, Ulbricht was active in a group of German communists under NKVD supervision (a group including, among others, the poet Erich Weinert and the writer Willi Bredel) which, among other things, translated propaganda material into German, prepared broadcasts directed at the invaders, and interrogated captured German officers. In February 1943, following the surrender of the German Sixth Army at the close of the Battle of Stalingrad, Ulbricht, Weinert and Wilhelm Pieck conducted a Communist political rally in the center of Stalingrad which many German prisoners were forced to attend. The political pragmatist Lavrenty Beria commented that Ulbricht was the greatest idiot that he had ever seen. As First Secretary of the Socialist Unity Party from 1950 to 1971, he held arguably the most central role in the early development and establishment of German Democratic Republic (East Germany). In an editorial published on the final day of June 1914, two days after the killing of Archduke Franz Ferdinand of Austria-Hungary and his wife by a Serbian nationalist during an official appearance in Sarajevo, Bosnia, The Times [London] urges a continued focus on domestic affairs. Although what happened in Sarajevo obviously filled "the first place in the public mind," acknowledged The Times, and the outcome of the investigation into the killing would no doubt "occupy the attention of all students of European politics," it was imperative that Britons keep their priorities straight, because "our own affairs must be addressed." At the time, the United Kingdom was threatened by the possible outbreak of civil war over the future status of Ireland; this presumably was the principal "affair" to which The Times was referring. In Britain, as in many of the European capitals, the assassination of Franz Ferdinand was at first viewed in a less alarmist light than might be assumed given the enormity of the war that the event would later precipitate. The archduke had not been widely liked, within his own country or without, and as the British ambassador to Italy reported to his government in London: "It is obvious that people have generally regarded the elimination of the Archduke as almost providential." In Paris on June 30, at the first cabinet meeting since the events in Sarajevo, President Raymond Poincare's biographer reported later that the killings were "hardly mentioned." The attention of the French public, meanwhile, was riveted on the scandalous case of Madame Caillaux, a politician's wife who had murdered the editor of a right-wing newspaper after he threatened to publish damaging material about her husband. Count Berchtold told me to-day there was every indication that the threads of the conspiracy of which the Archduke was the victim centre at Belgrade. The affair was so cleverly designed that very young persons had been expressly selected to execute the crime, since they could not be sentenced to more than secondary penalties. (I certainly hope this is not the case.) The Minister spoke with intense bitterness of the Serbian plots. I have heard even people of moderation and responsible judgment express a desire to settle once for all Austria's account with the Serbs. (Now or never!) They think one should submit to the Serbs a series of conditions, and in case they do not accept them, should take vigorous measures. I am seizing every opportunity to dissuade people quietly but seriously from precipitate measures. (Who has authorised that? Utterly stupid!, It's none of his business! It is for Austria alone to decide what she considers it necessary to do. If things go wrong later, they will say: Germany opposed! Let Tschirschky do me the favour to drop such foolishness. The Serbs must be settled with as soon as possible. That is self-evident. It is something that requires no argument.) First of all, it is important for people to know precisely what they wish. Up to the present, I have heard nothing but very vague and confused impressions. It would be well to weigh carefully the possible results of any act, and to bear in mind that Austria-Hungary is not the only country in the world; that she must show due consideration for her allies and keep in view the European situation as a whole; especially that she should not lose sight of Italy's and Rumania's attitude in matters concerning Serbia. When he [Hitler] was not fired at, he would often say on his return: "Today an old woman would have had no trouble in getting through" . . . . Hitler often looked completely exhausted; the best nerves can fail. However, he always pulled himself together . . . . I never saw him receive a field packet. Nor would he accept presents from us, though we often made the offer. Occasionally he refused with a brief thank you [and] was uninterested in home leave. The trenches and Fromelles were his world and what lay beyond did not exist for him. Some worshipers of Hitler have pointed out that the job of a dispatch runner was more dangerous than that of a soldier in the trenches. While the troops in the first line could calmly lie under cover, it is said in Hitler's defense, the dispatch runners would have been much more exposed to enemy fire while on duty. However I can accept that only for dispatch runners of companies or maybe also of battalions. 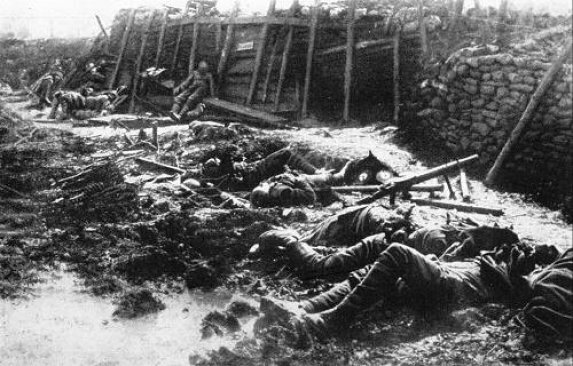 In the worst-case scenario, the regimental dispatch runner had to go to the dugout of a battalion which still lay far behind the first line. And even in those cases, it was for the most part the dispatch runners of the battalions themselves that had to pick up the messages at regimental headquarters, particularly when things were getting dangerous. All the duties of a regimental dispatch runner lay outside the dangerous zone of machine-gun fire. 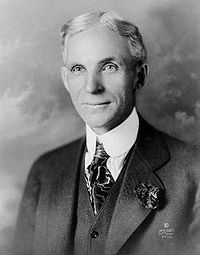 1927 Henry Ford writes a letter to Louis Marshall, chairman of the American Jewish Committee, in which he repudiates The Protocols of the Elders of Zion as a forgery, claiming to have been duped by his assistants. Ford also promises to cease publishing negative articles about the Jews in the Detroit Independent and to withdraw his book, The International Jew, from circulation. Note: Anti-Semites spuriously claim that Ford's life had been threatened, and that Ford's apology only shows how powerful the Jews in America really are. 1931 Weimar: US President Hoover proposes that payments of all intergovernmental war debts and reparations be held up for one year. The purpose of this action, known as the Hoover Moratorium, was to provide a "breathing spell" for European countries. Germany takes this opportunity to ask for a complete adjustment of all war debts. 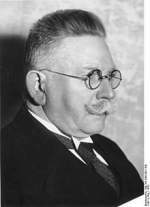 1933 Alfred Hugenberg: leader of the German Nationalists, resigns from the Cabinet while his aides begin liquidating the party. Alfred Hugenberg, the son of a Prussian politician, was born in Hanover, Germany, on 19th June, 1865. He studied law in Heidelberg and Berlin. Hugenberg joined the Prussian finance ministry before being appointed by Gustav Krupp as chairman of the board of directors of Krupp Armaments Company in 1909. He also built up his own business interests and by the end of the First World War owned UFA, Germany's largest film company and several provincial newspapers. Hugenberg held right-wing views and in 1919 he joined with Hugo Stinnes in establishing the German Nationalist Party (DNVP). The following year he was elected to the Reichstag and soon afterwards became chairman of the party. His substantial fortune enabled him to fund his political campaigns against the Versailles Treaty, Locarno Treaty and the Young Plan. In 1929 Hugenberg began funding Adolf Hitler and the Nazi Party. He also joined with Hitler to help oust Heinrich Bruening from power in December, 1932. When Hitler became chancellor in January 1933 he appointed Hugenberg as his Minister of Agriculture and Economics. However, he resigned from office six months later in protest against the Nationalist Party being closed down. Hugenberg remained a member of the Reichstag but he no longer had any political influence. He also lost control of his newspaper empire when it purchased by the Nazi Party in 1943. Alfred Hugenberg died in Kukenbruch, West Germany, on 12th March, 1951. 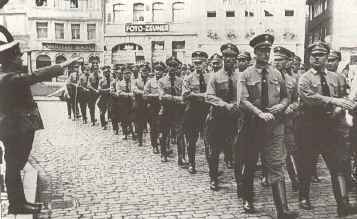 The Night of the Long Knives: Ernst Roehm and most of the top SA leadership are arrested. Many, including Roehm, are quickly executed without trial. The opportunity was taken to settle scores with other political opponents, such as General von Schleicher and Gregor Strasser (see below), and as many as a thousand homosexuals may have been killed during the following purge. 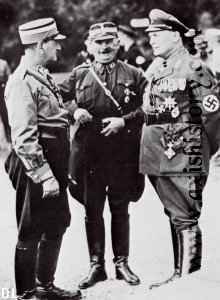 Roehm, from 1931, had been the Chief of Staff of the SA, that is to say, he was responsible, for the SA to the Fuehrer, who was himself the highest SA leader, and he led it in the Fuehrer's name. 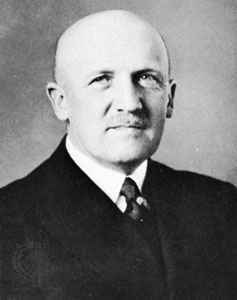 The main controversy between Roehm and us was that Roehm, like his predecessor Pfeffer, wanted a stronger revolutionary way to be adopted, whereas the Fuehrer, as I said earlier, had ordered a legal development, the final victory of which could be expected. After the seizure of power Roehm desired, under all circumstances, to get hold of the Reich Defense Ministry. The Fuehrer refused that point-blank, as he did not wish the Armed Forces to be conducted politically in any way, or to have any political influence brought to bear on the Armed Forces. The contrast between the Armed Forces and the Roehm group—I am intentionally not speaking of a contrast between the Armed Forces and the SA, since there was none, but solely of this leadership group, which called itself at that time the SA Leadership and it actually was—was that Roehm wanted to remove the greater number of the generals and higher officers who had been members of the Reichswehr all this time, since it was his view that these officers did not offer a guarantee for the new State, because, as he expressed it, their backbone had been broken in the course of the years and they were no longer capable of being active elements of the new National Socialist State. The Fuehrer, and I also, had exactly the opposite point of view in this connection. Secondly, the aims of the Roehm-minded people, as I should like to call them, were directed in a different direction, towards a revolutionary act; and they were opposed to what they called reaction. They definitely desired to adopt a more Leftist attitude. They were also sharply opposed to the Church and also very strongly opposed to the Jews. Altogether, and I refer only to the clique consisting of certain persons, they wished to carry out a revolutionary act. That Roehm placed all his people in leading positions in the SA and removed the decent elements, and misguided the decent SA people without their knowledge, is a well-known fact. If encroachments did occur at that time, they always involved the same persons, first of all the Berlin SA leader, Ernst, secondly the Breslau leader, Heines, the Munich and Stettin leaders, et cetera. A few weeks before the Roehm Putsch a low-ranking SA leader confided in me that he had heard that an action against the Fuehrer and his corps was being planned to replace the Third Reich as expeditiously as possible by a final Fourth Reich, an expression which these people used. I myself was urged and begged to place outside my house not only guards from a police regiment but also to appoint an SA guard of honor. I had agreed, and later on I heard from the commander of these troops that the purpose of that guard of honor was to arrest me at a given moment. knew Roehm very well. I had him brought to me. I put to him openly the things which I had heard. I reminded him of our mutual fight and I asked him to keep unconditional faith with the Fuehrer. I brought forward the same arguments which I have just mentioned, but he assured me that he naturally was not thinking of undertaking anything against the Fuehrer. Shortly afterward I received further news to the effect that he had close connections with those circles who also were strongly opposed to us. There was, for instance, the group around the former Reich Chancellor Schleicher. There was the group around Gregor Strasser, the former member of the Reichstag and organizational leader of the Party, who had been excluded from the Party. These were groups who had belonged to the former trade unions and were rather inclined to the Left. I felt it my duty to consult the Fuehrer now on this subject. I was astonished when he told me that he, too, already knew about these things and considered them a great threat. He said that he wished, however, to await further developments and observe them carefully. The next event occurred just about as the witness Korner described it here, and therefore I can skip it. I was given the order to proceed immediately against the implicated men of the Roehm group in northern Germany. It was decided that some of them were to be arrested. In the course of the day the Fuehrer ordered the execution of the SA leader of Pomerania, Ernst, and two or three others. He himself went to Bavaria where the last meeting of a number of Roehm leaders was taking place and personally arrested Roehm and these people in Wiessee. Death: Kurt von Schleicher: last Chancellor of Germany during the era of the Weimar Republic. Schleicher was instrumental in attempts to negotiate the return of the House of Hohenzollern. Fearing this would lead to his overthrow and the collapse of his regime, Hitler had Schleicher considered a target for assassination for some time. 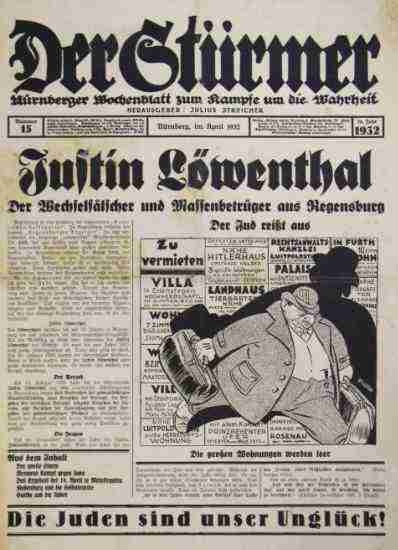 When the Night of the Long Knives occurred, Schleicher was an important victim. He was gunned down in his house; hearing the shots, his wife came into the room and shared the same fate. His sixteen-year-old stepdaughter found the bodies. Death: Gregor Strasser: While having lunch, Strasser was attacked in his home by Nazi Party elements loyal to Hitler, and was taken to prison, where he was later shot in the back of the head. Dr. Martin, I am a man marked by death. We shall not be able to go on seeing each other for long and in your own interests I suggest you do not come here any more. Whatever happens, mark what I say: From now on Germany is in the hands of an Austrian who is a congenital liar; a former officer who is a pervert; and a clubfoot. And I tell you the last is the worst of them all. This is Satan in human form. 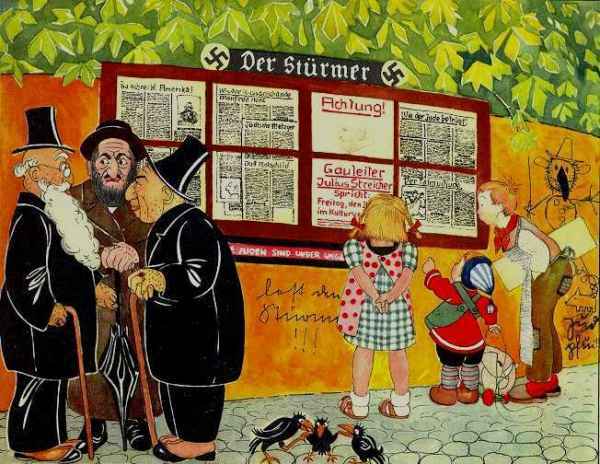 Der Stuermer is the most infamous newspaper in history. For twenty-two years every issue denounced Jews in crude, vicious, and vivid ways. Although Streicher employed a large staff by the end of the 1930s, he always had the final say, "Streicher and the Stuermer, they are one and the same," he would say proudly. 1939 The Heinkel HE-176 rocket plane makes one of its first flights, at Peenemunde. Reference your telegram 115 (June 29). Reich Foreign Minister took note of your telegraphic report on conversation with Molotov. He is of the opinion that in the political field enough had been said until further instruction and that for the moment the talks should not be taken up again by us. Concerning the possible economic negotiations with the Russian Government, the deliberations here have not yet been concluded. In this matter, too, request that for time being nothing further be initiated, but that instructions be awaited. The Channel Islands, which are crown dependencies, were the only portions of the British Isles to be invaded and occupied by German forces during the war . . . .
On 15 June 1940, the British Government decided that the Channel Islands were of no strategic importance and would not be defended. They decided to keep this a secret from the German forces. London had decided that the Channel Islands would be little more than a drain of resources for the Germans. The tens of thousands of German soldiers that Hitler had sent to defend the Islands meant that they could not be sent to defend more strategically important sites, such as the West coast of Europe. The Channel Islands served no purpose to the Germans other than to cite occupied parts of British territory in German propaganda. 1941 World War II: War in the Air:Pilots of Luftwaffe fighter wing JG-51 down 100 Soviet bombers attacking German armored forces east of Minsk; its CO, Oberst (Colonel) Moelders, accounts for 5 of them. 1942 World War II: Russian front: General Paulus, commanding 6 Armee, begins an offensive from the area of Belgorod toward the Don. Poland: General Stefan Rowecki, Commander of the AK, is arrested by Gestapo in Warsaw. He is replaced by General Bor-Komorowski. "He was questioned by many prominent Nazi officials (Ernst Kaltenbrunner, Heinrich Himmler and Heinrich Mueller). He was offered some sort of an anti-Bolshevik alliance, but he refused. He was probably executed in August 1944 in Sachsenhausen." 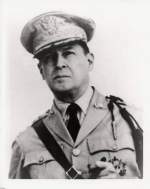 General Douglas MacArthur launches Operation Cartwheel, a multi-pronged assault on Rabaul and several islands in the Solomon Sea in the South Pacific. The joint effort takes nine months to complete but succeeds in recapturing more Japanese-controlled territory, further eroding their supremacy in the East. The purpose of Cartwheel was to destroy the barrier formation Japan had created in the Bismarck Archipelago, a collection of islands east of New Guinea in the Solomon Sea. The Japanese considered this area vital to the protection of their conquests in the Dutch East Indies and the Philippines. For the Allies, Rabaul, in New Britain, was the key to winning control of this theater of operations, as it served as the Japanese naval headquarters and main base. On June 30, General MacArthur, strategic commander of the area, launched a simultaneous attack, on New Guinea and on New Georgia, as a setup and staging maneuver for the ultimate assault, that on Rabaul. The landing on New Georgia, led by Admiral William Halsey, proved particularly difficult, given the large Japanese garrison stationed there and the harsh climate and topography. 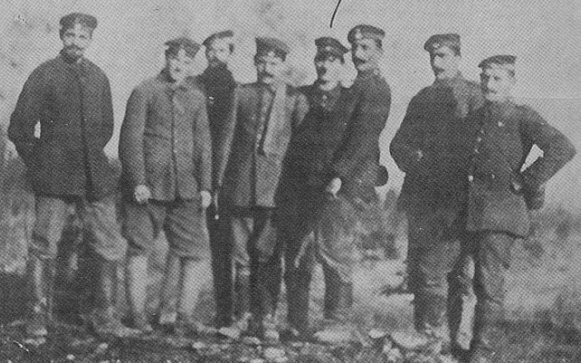 Substantial reinforcements were needed before the region could be controlled, in August. One consequence of Cartwheel was a lesson in future strategy. By establishing a "step-by-step" approach to invasion, the Allies unwittingly gave the Japanese time to regroup and establish their next line of defense. The Allies then decided that a new strategy was to be deployed, that of leaving certain islands, or parts thereof, to "wither on the vine," rather than waste valuable time and manpower in fighting it out for marginal gains. A leapfrogging strategy was then employed by MacArthur, whereby he left in place smaller Japanese strongholds in order to concentrate on "bigger fish." War in the Air: In the West, the RAF carries out a saturation raid (250 Lancasters) on 2nd and 9th SS-Panzerdivisions (Das Reich and Hohenstaufen) at Villers-Bocage near Caen. Finland: The United States breaks off diplomatic relations with Finland. Holocaust: 1,153 Jews are deported from Paris to Auschwitz. We are still here [at Nuremberg Prison]. Doenitz, Hess, and I are convinced that the idea of Spandau has been dropped. But many of us were always inclined to mistake wishes for reality. (Speer II) Note: The prisoners will not be moved to their permanent home at Spandau until July 18, 1947. 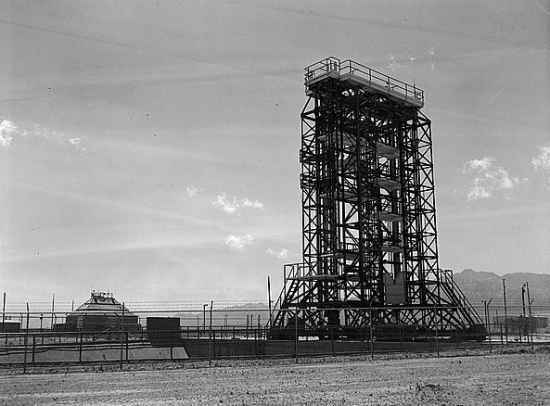 1951 Cold War: A total of 67 V-2's have by now been tested at White Sands Proving Grounds. Just three days after the United Nations Security Council voted to provide military assistance to South Korea, President Harry S. Truman orders U.S. armed forces to assist in defending that nation from invading North Korean armies. Truman's dramatic step marked the official entry of the United States into the Korean War. On June 25, 1950, military forces from communist North Korea invaded South Korea. South Korean forces and the small number of U.S. troops stationed in the nation reeled under the surprise attack. On June 27, the United States asked the Security Council in the United Nations to pass a resolution calling on member states of the United Nations to assist South Korea. With the Soviets boycotting the meeting for other reasons, the resolution passed. Three days later, President Truman ordered U.S. ground forces into South Korea and the troops entered South Korea that same day. At the same time, Truman ordered the U.S. Air Force to bomb military targets in North Korea and directed the U.S. Navy to blockade the North Korean coast. Truman's action signaled the beginning of official and large-scale U.S. participation in the Korean War. Over the next three years, the United States provided at least half of the U.N. ground forces in Korea and the vast majority of the air and sea forces used in the conflict against North Korea and, later, against communist China, which entered the war on the side of North Korea in late 1950. Nearly 55,000 Americans were killed in the war and over 100,000 were wounded. Cost estimates for the war ranged as high as $20 billion. In July 1953, an armistice was signed that ended the fighting and left Korea a divided nation. 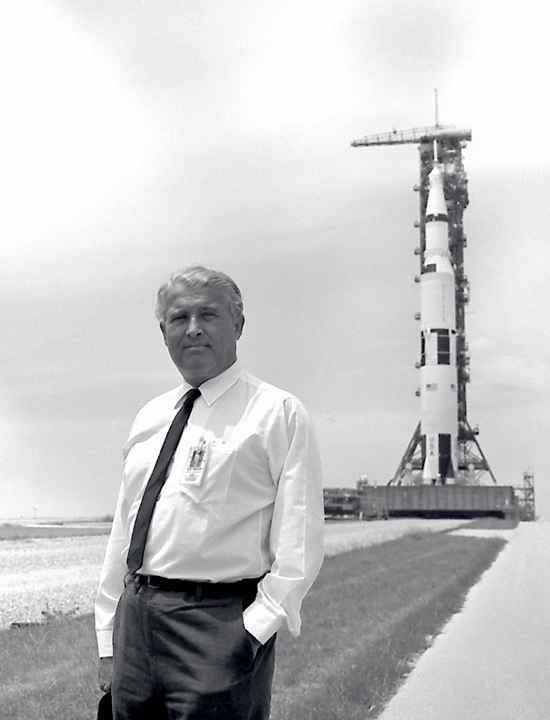 1973 Werner von Braun: Hitler's former chief rocket scientist, clears out his desk and leaves NASA after having announced his retirement on June 10, 1973. 1990 East and West Germany officially merge their economies, with the East adopting the Deutschemark as its currency.